#tbswinterschool – I landed 1700km away from home – yes, I checked it out! 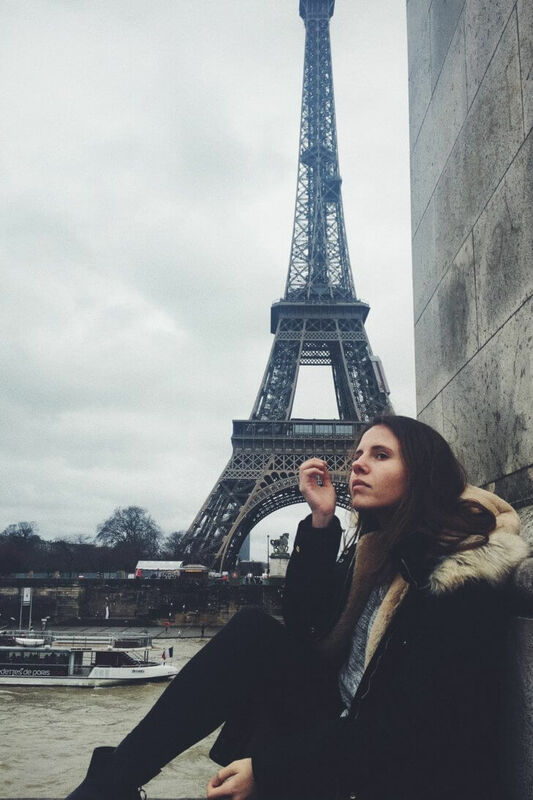 A Portuguese girl in France. Lets, please, put the stereotypes aside: I do not have mustache, I don’t even like Porto wine, Fado kind of annoys me, but, I will admit, football occupies a special place in my heart. I arrived alone in France, with little knowledge of the language, with little to no similarities with the natives. With a mix of excitement, for the new adventure, and fear, to start it, I thought: “At Last, Alone in Paris”. Five days later the alarm rang at 8.30am, it was routine by now. I woke up cursing, not, as it would be graceful of me to write, admiring the Eiffel Tower seen through the window of our hotel. No, it pained me to get up, to walk 15 minutes towards the Paris’s campus. However, as always, a cranky morning would unfold in a fantastic day, one of surprises, challenges and laughter. Paris has an ease to it, an elegance easily achieved by centuries of History, a perfection. The latter, if I may add, does not captivate me. Nonetheless, our smartphones were eager to capture the city of light, the beauty of it all. Perhaps, it was behind those screens that we first hid, found refugee on WhatsApp groups from back home, shortened distances through our keyboards. Soon enough, however, the phones were put down and glasses were raised: salut! We were together in Paris, one city that was now a temporary home to four continents, seven nationalities. We experienced the open-skied museum that it is the French capital through the eyes of several cultures. We learnt how to speak the language of the city and the language of one another. We walked with the culture boundaries, dined with the different cooking, chatted through odd accents. Around Paris, we sang songs that had crossed borders, felt nostalgia about Disney movies that we had all watched. It seemed, I may confess, that within days what our passports said mattered little. In all of my experiences abroad the groups had been much bigger. However, as I came to understand, we don’t need a big crowd, but one with good elements. In that, I must say, we nailed it. We made Paris our own, danced on the metro, joked loudly by the Louvre, created inside jokes in a city that was home to neither of us. After Paris we headed South. We left the capital behind, left members of our little group go, encountered a bigger campus, a smaller city. However, it was in Paris, in a more cosy and family like campus, that the small talk was replaced by intimacy and silly puns, that we gave meaning to the word friends.